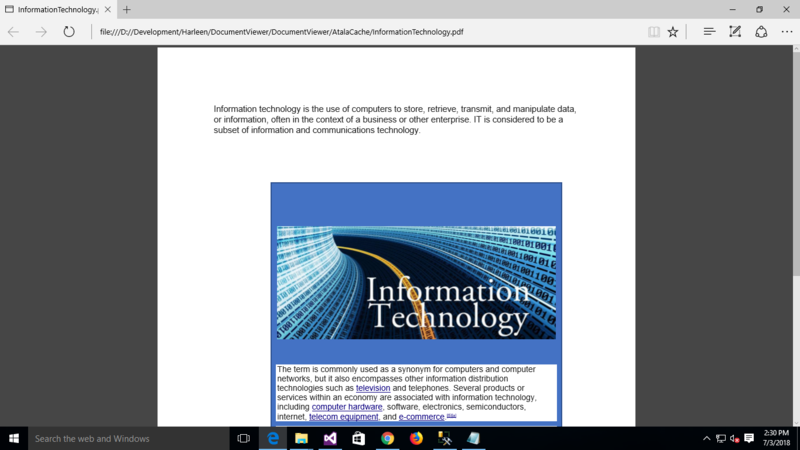 How to Generate Pdf with Atalasoft that opens in Print Mode in the Browser? Atalasoft is a tool for providing Image and Pdf Management related operations for managing and modifying image and image files. We can modify the image and pdf files to apply different type of operations like viewing, creating thumbnails view, adding annotations to make it more secure by applying redactions, password, and customize pdf and image files in different ways to make office process usable. One of the important operations is to print the pdf. For applying the print operations, a new pdf is generated with printing properties. This approach uses the compression method for saving the files. 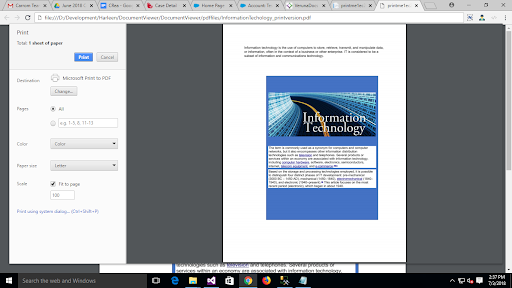 Printing application by Atalasoft is not only limited to “All pages” printing for a document, but you can also print the “Current page” and print the pdf with “Page range”. For this case we can use the same pdfencoder object as mentioned in the above sample code, and instead of PdfSource, the ImageCollection object will be used.